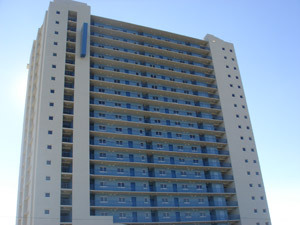 Tidewater Beach Resort is one of Panama City Beach's top condominiums. Strategically located on the west end of Panama City Beach, Tidewater Beach proudly sits on over 600 feet of beautiful white sand beach. Tidewater boasts 570 gulf-front units plus a variety of incredible amenities for both owners and guests. These amenities and features include: two large lagoon pools, a 4300 sq. ft. fitness center with a "health/juice bar" and a spa, a 5000 sq. 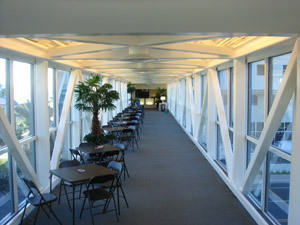 ft. conference center, an owner's theatre, sky view lounge on the 31st floor, an indoor pool (great for winter guests), and seven elevators. 1 bedroom/1 bath (with bunk area or room) 787 and 792 Sq. Ft.
1 bedroom/2 bath (with bunk area or room) 817, 849, 923 and 934 Sq. Ft.
2 bedroom/2 bath (with bunk area or room) 1182 and 1593 Sq. Ft.
2 bedroom/3 bath (with bunk room) 1,131 Sq. Ft.
3 bedroom/3 bath (with bunk area or room) 1,670, 1865 and 2248 Sq. 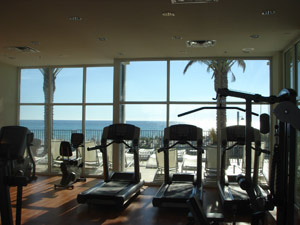 Ft.
Tidewater Beach Resort Condominium is located on the popular west end of Panama City Beach. The resort is close to Gulf World, the County Pier, Pier Park and just 20 minutes from the Silver Sands Outlet Shopping Center in Sandestin!